This section of the website will host hockey job opportunities, that come available from time to time. Please email [email protected] if you need more information or have a job opportunity that you would like to post. *All job postings and information in their attachments are not sponsored/vetted by the NCRHA. It is the responsibility of all applicants to do their own research, making sure the job opportunity is legitimate. 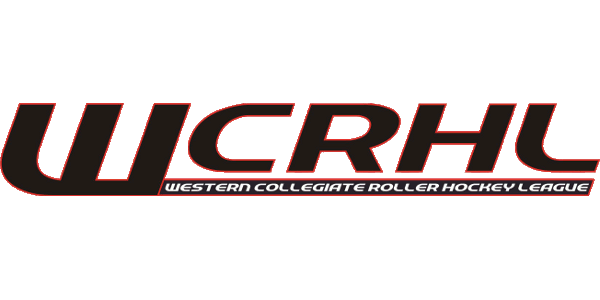 Several NCRHA Conferences (ie. ECRHA, GPCIHL, MCRHL, RMCRHA, SCHL, SECRHL, WCRHL) offer unpaid internships for qualifying students. Email [email protected] for more information about internships. Due to a few recent cancellations, Camp Greylock has a few open spots for roller hockey counselors for this summer season. Located in the Berkshire mountains of western Massachusetts, Camp Greylock is among the nation's oldest and most prestigious residential sports camps. This summer we will be celebrating our 103rd summer at camp. We offer advanced sports instruction while emphasizing positive reinforcement and traditional values. Each summer, Greylock is home to over 400 boys ages 6-16 and 240 staff members from across the U.S. and around the world. 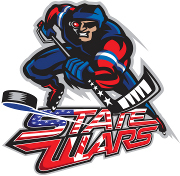 We are currently seeking roller hockey counselors for our upcoming season. This is an excellent opportunity for a person who enjoys working with children. We are looking to assemble an exceptional group of caring counselors and experienced coaches/instructors to lead our campers. Camp dates are 6/12/18 through 8/12/18 with some flexibility. We offer a competitive salary, a beautiful outdoor work environment, and a great way to spend the summer: room, board, and travel allowance are included. Visit http://www.campgreylock.com/employment.php to fill out our online staff application, or email your resume to [email protected] for more information. Applications are accepted on a rolling basis. Roller Hockey Coach - Summer Camp Counselor! We are looking to hire a Hockey Coach for Camp Towanda, a children's summer camp in Honesdale, PA.
Hockey specialists at Camp Towanda have the opportunity to teach daily roller and floor hockey instruction to our campers; boys and girls, ages 7-17. Additionally, they are responsible for coaching our hockey intracamp games and intercamp leagues, including county-wide tournaments with other camps. This is a great opportunity for for both developing professionals to get coaching experience with a wide variety of ages and abilities and for seasoned coaches looking for a fun and engaging way to spend your summer! Responsibilities include coaching, refereeing, executing lesson plans and coordinating with Department Head, Program Director and Athletic Director. Specialists help teach groups of 20-40 campers at a time (boys and girls, ages 7-17). When you are not instructing in your area of expertise, you will work with the group that you live with, as a General Counselor. A bunk typically consists of 8-16 campers, 2-3 General Counselors and 2-3 Activity Specialists and a Junior Counselor. Each age group has generally 2-3 bunks lead by a Group Leader. Our entire camp eats three meals together in a dining hall where the oldest campers serve the meals. We have weekly BBQs and enjoy creative evening activities as a camp family (game shows, campfires, plays, sports leagues, scavenger hunts and more!). A typical day starts at 7:15am and campers go to bed between 9-10pm. Counselors have a rotating schedule for time off and a day off. When you are in the cabin, you are on-duty and prepared to work! We have endless staff support and training to help you be a successful Activity Specialist. You will need to be at camp prior to the camper's arrival for your Department-Specific orientation as well as a general orientation led by child development experts and our senior staff. During the summer you have the support of a Department Head, Group Leader, Assistant Group Leader, Head Counselor, Assistant Head Counselor and Owners/Directors, Mitch and Stephanie Reiter. Camp Towanda is a family owned and operated, 7-week, coed, traditional sleepaway camp in Northeast Pennsylvania. Our camp is over 235 acres offer all land and water sports and many other activities that develop key social skills by reinforcing group bonding and respect. For a full list of our activities and facilities check out our website! We are filled with down to earth people that know how to have a good time. We hire staff from over 30 states and 20 countries. Working at Camp Towanda, you get to make a real difference in children’s lives and contribute to the tradition and spirit of camp, while learning real-world career-building skills, such as leadership, management, public speaking, responsibility and accountability. We offer internship opportunities for credit too! The role of a counselor varies. Department heads, specialists, group leaders, general counselors and support staff all play a vital role as being a part of the team. Staff members must be patient, fun loving, spirited, and genuinely concerned with the welfare and development of young people. In fact: we only look for staff members who will serve as role models for our campers. - Available mid-June thru mid-August. - Youth coaching experience a plus! Housing, Food and Entertainment provided!